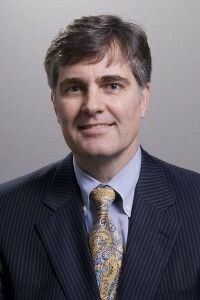 Charles Douglas Ardoin Jr, MD is physician-in-chief of Memorial Hermann Healthcare System and president of Memorial Hermann Medical Group of Houston, TX. What are your responsibilities at Memorial Hermann? I’m involved with physician integration, physician strategy, business development, physician employment, that kind of thing. Is Memorial Hermann considering creating an Accountable Care Organization? Absolutely. Our goal at a company level is to continue to follow what changes, or what additions get addressed through those statements throughout the law that said, “The secretary shall.” We’re waiting to see what kinds of things may occur between now and January 1, 2012, but our goal is to definitely be prepared. Here’s what’s interesting about this whole ACO thing. There are bundle payment demonstration projects going on around CV surgery. There are some of these ACO pilots that are occurring right now. What I think is really interesting about this whole concept of Accountable Care Organizations is where in the law they describe what kinds of entities will be able to participate in some of these ACO demonstration projects, or will be able to call themselves Accountable Care Organizations. The thing is, none of that’s really been finalized. In the mean time, we’re keeping our ear to the ground saying, “What is that going to look like down the road?” But in the mean time, we know that we’ve got a very large hospital system in Houston, Texas with a very nice geographic footprint. We have acute care, post-acute care, emergency care, trauma care. We’ve got so much of the aspects of care covered. We have relationships for long-term acute care, and skilled nursing home help — all that stuff covered. We have a relationship with our academic partner, the University of Texas, which has a large clinical practice group. We have our own employed physician organization. We have a very large IPA with over 3,000 physicians that is part of the Memorial Hermann system. We think we have all of the pieces of the puzzle, if ACO was a puzzle and you had to have all the pieces. We think we have it all to be able to connect it together. I think we’re still waiting for the federal government to come out and say, “Here’s how you connect it. Here’s how you fill out the application so that you can get in the game.” I think we have minimal stuff we’ve got to go build or buy, so to speak. I think we’ve got just about all the pieces that are going to be necessary to put it together. That’s not to say that in some ways we’re not already engaged in or doing things that fit within the model of an Accountable Care Organization. Another good example is our independent physician organization, which is called the Memorial Hermann Physician Network. We’ve been, for the last four years, developing and engaged in our clinical integration model. So, much like the Advocate Physician Group in Chicago that’s probably been at it for over 10 years now, we’ve been at it for about four years. But, we’ve consistently followed all of the FTC guidelines and recommendations on developing our program. We do have one clinical integration contract now and we’re looking at developing others. Our independent physician organization — the whole basis of clinical integration — is about high-quality, cost-effective healthcare where you get otherwise independent physicians to come together and agree to develop a quality platform amongst the physicians that’s both specialty-specific and for the organization as a whole. It buys a higher-quality care that we think creates a real differentiation in the marketplace. In the ACO model that Memorial Hermann is considering, what would the governance structure be? Right now, the law is not very specific, other than that they say that it has to be a shared governance model. Our intent would be to create a shared governance model so that you have — I don’t want to say ‘equal’ — but the correct representation of physicians and hospitals, and maybe the academic medical center and all of the right components. We like the concept of the shared governance model. We strongly believe that it’s going to need strong physician leadership in that governance model. As you’ve looked at what’s being proposed and the goals of the ACO model, what would you say are some of the bigger implications for both hospitals and individual physicians? For years, hospitals and physicians have wanted to figure out ways to better align incentives around patient care, managing costs, and driving good revenues and things like that. I think physicians and hospitals have looked for some kind of a model that really pulls it all together. I think the ACO can potentially do that because the ACO, at the end of the day, is very much focused on the patient, where it’s really about how do you give the most highly coordinated, highest quality care you can give. Quality from the standpoint of process and outcomes. How do you really give that high-quality care in a model that’s most cost-effective that can be efficient? I think it’s a way for hospitals and physicians to be fully aligned in that regard, because I wholeheartedly believe if you focus on the patient, you do the right thing by patients, then you shouldn’t have to worry about the money. If you’re doing the right thing for patients, you’re giving them high-quality care. You’re not over-utilizing. You’re not wasting. You’re not ordering tests that they don’t need. You’re not leaving them in a hospital longer than they need to be where they can get an injury or an infection or something of that nature. You’re truly doing the right things for the patients. If you do that, I think the finances will follow suit. But I think there are some issues here. I think there’s some upside and downside for patients. The upside for patients is the fact that patients will be able to get a sense that their providers are better connected, a better flow of information. That the continuum of care should be more seamless and patients should feel comforted by the fact that the federal government is not going to relax its quality standards. As a matter of fact, it will only enhance their quality standards over the years, so the ACOs will still have to give high-quality care. I think the issue, though, is that there may be some impact on provider choice for patients. Because what may end up happening down the road — whether it’s through CMS or private insurance plans that decide to follow the same model — is that you’re going to see, in order to achieve the level of connectivity, information flow, quality, and cost savings, these networks are going to have to be rather exclusive to some degree. I think patients are going to have to be willing to accept the fact that, whereas there will be choice within the network, going outside of the ACO, outside of the network, is going to be detrimental to the whole purpose. I think there will be some impact on provider choice to patients. I think some of the issues that the federal government needs to work through is this whole concept of continuing to pay fee-for-service for some kind of a bonus for cost savings because I don’t think that’s going to work. I see the government having to migrate quickly to fixed payment for certain procedures, like a bundled payment, and some other type of a fixed, bundled payment for populations of patients — almost like a capitation model — in order to really control costs. I still think within both of those, there can be rewards for achieving certain quality benchmarks and cost savings as well. But the fee-for-service model, I don’t think it’s going to lend itself to the level of cost saving that the federal government is looking for. Could the fee-for-service model, in time, go away? I don’t know if it will go away or become significantly modified. Look, if doctors and hospitals continue to get paid on a per-click basis, then what’s going to prevent them from adding up clicks? So that’s my concern about rolling this out and continuing to have it in a fee-for-service model. I don’t know that it’s going to drive the level of efficiency and cost savings that could be achieved without suffering the quality. As healthcare moves more to the ACO or Medical Home models of care, what will hospitals and health systems need to do in terms of physician alignment? I think what you’ll see are increasing models of integration. In other words, you may see more physician employment. You may see more PHO development — Physician Hospital Organization development — where physicians are still independent, but either through a PHO or an IPA model, they declare their loyalty to a hospital or hospital system. I don’t think that ACOs will necessitate employment of physicians, but I think it is going to necessitate a unique level of loyalty or exclusivity for private, practicing physicians who want to engage with a specific ACO. What are some things that Memorial has done, or things you think need to be done, to effect change in physician behavior when implementing new models of care or even new technology? Two completely different kinds of questions there. The technology issue really has to do with how disruptive the technology is. At the end of the day, you’ve got a certain generation of physicians who maybe aren’t as IT adept. Therefore, sometimes they have a hard time adjusting to new technologies. I think a lot of the physicians coming out of residency and fellowship today, because they grew up in the Internet age, are much more accepting of new technologies. Therefore, I don’t think that’s as big of an issue, but technology’s one thing. Models of care .. I think what you have to do there is really work on the alignment of incentives. I think that when you start talking about creating a new model of care, it can’t be a zero-sum game, obviously, to the physician or to the hospitals. There’s got to be a consensus that drives a win-win so that both the hospitals and the doctors can benefit from a new model of care and the incentives can be aligned. That means just as what’s been described in the ACO. Developing ways that cost savings can be shared back with the providers, both the physicians and the hospitals, is important. Or, rewards for reaching levels of excellence and quality. I think that’s important, too, where you can reward and align incentives around reaching certain quality benchmarks. What are your thoughts on incorporating decision support tools into the care process? Let me just say this. I’m a big proponent of always learning how to work smarter and not harder. In other words, why does a physician, every time they admit a patient to the hospital, have to sit down with pen and paper and go through the ADCVAANDIML of writing admission orders? If you believe a patient has pneumonia, then why don’t you use a common pneumonia order set to admit the patient, or a pneumonia pathway that has flexibility within it to adjust it for the uniqueness of the patient? All of the basic things that happen every time are there. They get covered. You know they’re going to happen, therefore they don’t get forgotten. I’m a big believer in using admission order sets or care pathways, these kinds of things. I think they’re smart. I think they work. There’s evidence in the literature that patients do very well when they’re placed on these things. Regarding clinical decision support, I think their only issue there is that you have to worry about alert fatigue. I think you can overdo clinical decision support where physicians will be able to ignore the suggestions. I think that there’s a fine balance there as to how you offer that in the electronic medical record setting without creating alert fatigue, but I think it’s smart stuff. I think any time you’re about to prescribe a medication that’s going to interact with the patient’s blood thinner and you hadn’t thought about it, you get a nice alert that says, “Whoa, didn’t you know they were on Coumadin?” or whatever. I think that’s perfectly fine. You’ve just got to be careful how often those things trigger and at what levels. Does Memorial have much in place in terms of clinical pathways? Yes. Not all of our hospitals are on computerized physician order entry. We have a few that are, and they use order sets and there’s clinical decision support tools and things like that that are being rolled out. Shifting gears a bit, how will recent healthcare reform affect Memorial? Are there changes being considered or that are being put in place to control cost and improve efficiencies? I would say Memorial Hermann is always engaged in continuous improvement around being more efficient, controlling costs better, etc. I don’t necessarily know that the healthcare reform law has changed what we’ve always done around here. We’re a not-for-profit, community-owned healthcare system. We always practice good stewardship of our resources, so there’s always that opportunity to look at how we’re doing things. I think it’s going to impact us, though, just like it’s going to impact everyone else. You’ve got up to the 26-year-olds that you have to be able to offer insurance for under a family plan. The issues of the no-lifetime max, when that kicks in; issues of the no pre-existings, all these kinds of things. Our health plan is self-funded and I don’t think we’ve ever, for employees or dependents, turned anyone down for pre-existing illness, but we’re going to have the same kind of pressures. We are a healthcare provider and healthcare system, so I think we will always do our best to provide a benefit for our employees. But unlike us, I think there are going to be, maybe not so much in healthcare, but certainly other industries, where large employers and even small employers are going to have to weigh the option of — do I provide a benefit or do I pay the fine? Which is less expensive for me? Then let the employees get out there and get insurance on their own. The other thing we worry about is really how strong will the individual mandates be? What are the chances that instead of more people having insurance, actually less people have insurance? You know, there’s always that chance that actually, individuals, if they’re not being provided insurance through their employer, may say, “Well then, I’m not going to go buy it on the open market until I absolutely need it.” So what are the chances that actually the uninsured will go up? There’s just so much uncertainty and potential unintended consequences that the best I can say is we’ll just kind of hunker down and try to do our best to be prepared. How is the health system positioned for qualifying for Meaningful Use? I’m not the expert on that, but I can tell you according to our chief informatics officer, we are extremely well-positioned for Meaningful Use. I think we’ve hit all but one of the last remaining checkmarks. We’ve been named one of the most wired companies in America and all that kind of stuff. Trust me, we’ve got an ISD team that’s second to none. We’ve got a leader there who is really, just a rock star, and he’s been with us for several years. Very well respected. We’ve done a lot of work in that area and I can assure you, we’re there. We’ve done a lot of work on that one. I can tell you that my boss, the president and CEO, Dan Wolterman, said that my number one priority is learning everything I can about Accountable Care Organizations and preparing all aspects of our physician organization to be prepared to move in that direction. That really is the number one thing. A lot of it is working with our IPA and our clinical integration model to use that as a tactical platform to get us toward an ACO strategy. Also, to integrate with our employed physician enterprise to basically do the same. It’s about helping the physician organization develop all of those aspects of high-quality, cost-effective care in partnership with the healthcare system. Good, timely interview, it underscores the struggle we have in trying to get an IT system that is really patient focused. Truth is, the ACO model is nothing new. It’s been around for half a century or more. It’s called Mayo, Clev Clinic, Geisenger, etc. As Charles says, you have to get the doc and hosp on the same page, and the old Medicare Part A- Part B payment system works directly against this. If the govt does not change it (and there are many vested interests that would fight it) then the only way to get a real ACO is one of the parties has to give up some control /independence. There needs to be one ‘bottom-line’ not two or three as we have now. To quote an old cliché; follow the money! [From Mr. HIStalk] Good eye! I had used the current pic from Memorial Hermann’s site, which was apparently quite dated, so he sent over a new one. Good interview. I would appreciate an interview or two though with a lawyer who really know their ins and outs around physician contracting relationships and really discuss some of what Doug mentioned here with IPA and PHO agreements.